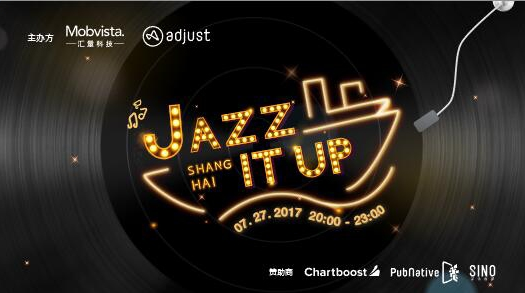 Mobvista and Adjust, together with Chartboost，Pubnative & Meetsocial, are bringing you the most sought-after, and funkiest Chinajoy party—Jazz it up! Join the big crew from the industry, for a night that you won’t regret. Treat yourself with sweet and classic fizz & groove, Let us bring you back to the Jazz age. Ready to be surprised?Get on board and Jazz it up, Sign up now!